Self-insurance, also known as self-funding, offers numerous advantages especially for employers with a positive risk profile. For employers with better than average risk pools e.g., younger, single, low risk industries, and male with healthy lifestyles the advantages to self-funding can be especially rewarding with improved cash flow. Employers face the challenges of managing the cash flow, establishing prudent reserves, and investing the accumulating assets. Setting aside such funds will assure money is available when health claims are presented. Under the Affordable Care Act, the rewards gained from a better than average risk pool went up dramatically as a result of federal limitations on insurance premiums. 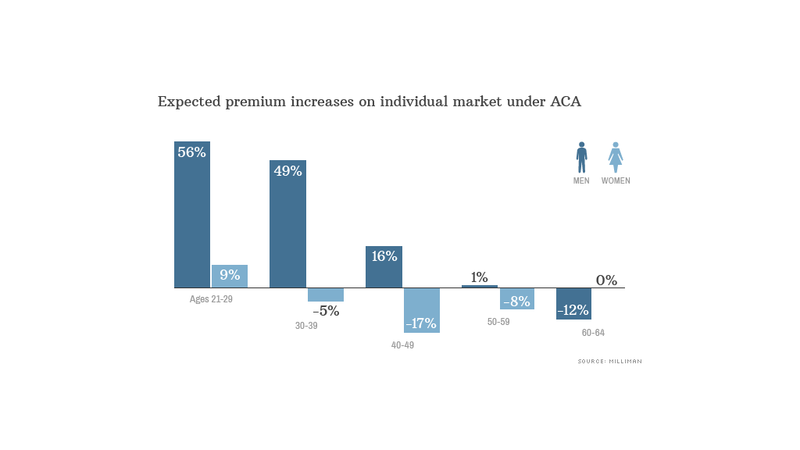 Perhaps most important is the federal limitation when setting premiums by age. Under the ACA, age-rating factors may not vary by more than 3 to 1. That is, the rate for a 64-year-old cannot be more than three times the rate for a 21-year-old. This 3 to 1 restriction is quite different from the actuarially determined age range where age factors often reflect a 5-to-1 ratio or higher. This difference alone can be significant, with premiums for younger groups going up by as much as 56% !!! for young male populations. Flexibility – Employers choosing to self-fund are able to customize their benefit plan, rather than being restricted to a ‘one-size-fits-all’ insurance program. Such flexibility gives far greater control when coordinating benefit offerings. For example, where an employer also offers dental benefits the employer can exclude the pediatric dental essential health benefit from its medical plan and avoiding the potential for paying twice for the same coverage. An especially useful application is for start-ups or other companies looking for a fresh approach for insuring newly designated employees who had been considered independent contractors. Freedom from Premium Taxes – Premiums tax rates for commercial health insurers range from 0% to over 4% with most states in the 2% range. Health insurers also may be subject to assessments for guaranty funds. Each of these costs are passed along as additional costs to the company’s insurance clients. Employers that self-fund are not subject to these additional costs. Freedom from the Federally-imposed Health Insurance Industry Fee – The Affordable Care Act instituted a fee on all insured plans initially at 2-2.5% of premium in 2014 growing to 3-4% in future years. Freedom from State Mandated Benefits – For fully insured plans, state laws mandate fully insured plans include numerous insurance benefits that are not required of self-insured employers. There are many reasons employers may not wish to cover certain procedures ranging from religious through treatment ineffectiveness to life quality issues. In the end, employers offer some form of many of the state required benfits, yet the key challenge mandates present is where an employer wishes to offer a uniform benefit plan across all states in which it has employees. Lower Administrative Costs & Risk Charges – Insurers generally see and pass along higher administrative costs for smaller versus larger groups. Such a difference is recognized in the Affordable Care Act by allowing insurers to set a minimum loss ratio of 80% for small groups versus 85% for large groups. This difference alone could well add up to 6% to a 51-100 employee employer’s premium. In the aggregate these costs can really add up with premium taxes, the ACA’s Health Insurance Industry Fee, and the administrative/risk charges adding upwards of 10% to employer premiums.